Terri Aronovitz spent seven years treating the athletic population of Boulder in Sports Rehabilitation. Prior to that, she has worked in various orthopedic outpatient settings in the Denver metropolitan area and Farmington, NM. She has worked with injury clinics that specialize in injuries related to motor vehicle accidents and worker’s compensation. She has training in the Mulligan Techniques to improve movement in joints, muscle energy techniques, neuromuscular therapy myofascial techniques and the Bowen Technique, in which she is certified at an advanced level. She has also taken coursework in vestibular rehabilitation, which allowed her to successfully treat many patients who had symptoms of balance disorders and dizziness. 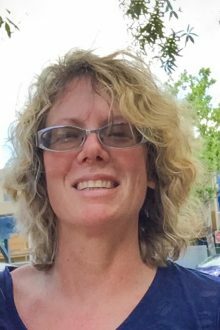 Terri Aronovitz has worked in Taos since 2013 and very much enjoys working with the people of Taos County. She participates in many outdoor activities, including hiking, biking, skiing, tennis and windsurfing.